Xpress Precision Engineering BV announces its next series of scanning tactile probes: the Heimen Series. 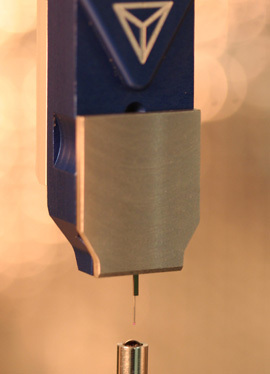 This range is positioned between ultra precision (UP) probes and standard scanning probes. The Heimen Series combines the best of both worlds and from now on it is possible to conduct 3D scanning measurements with submicron accuracy for a competitive price. The new series is specifically targeted at OEMs of multi-sensor measurement machines and OEMs of machining centers and will be available early 2010.